Arrowhead Credit Union, San Bernardino, Calif., honored Homeless Awareness Month by donating 250 bags with groceries for the homeless. The effort was spearheaded by Doribel Martinez, who works in collections for Arrowhead Credit Union. Martinez’s idea grew to be an organization-wide effort. 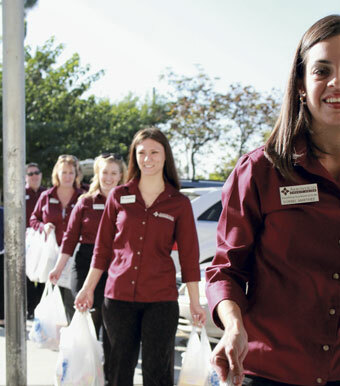 Arrowhead¹s Riverside Branch manager, Sam Clark, reached out to a local grocery store to have bags donated to collect the food; other team members volunteered to deliver the filled bags to a Mary’s Mercy Center, a local charity.